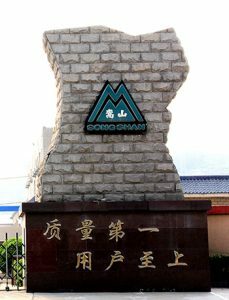 Company - SONGSHAN IMP. & EXP. INC.
Our abrasive technology is dated from 1989. Main business unit markets a broad products and solutions for the fields of coated abrasives and bonded abrasives. We are dedicating in the four key business divisions: Raw Abrasive Grains, Abrasive Jumbos, Abrasive Machines and supporting materials. We serve customers around the world with a multi-faceted products and solutions for a wide range of applications and industries. Our key products include abrasive cloth jumbo rolls for making abrasive belts, discs, wheels and other specialty abrasives, machines for converting plants (belts, discs and wheels) and raw materials of producing coated abrasives and bonded abrasives. Our products and solutions create real business value for every customers. Ongoing Research and Development activities in our own family group provide more suitable results in customers’ production. We would be always focus on all possibilities in future markets that help our customers position themselves successfully in their area as individual as the industrial applications they serve.